"Look." Max points. "it's Sarah's house." All I see is roof. In searing personal poems, Jane Kurtz explores what it's like to struggle through a flood and pull your life together afterward. 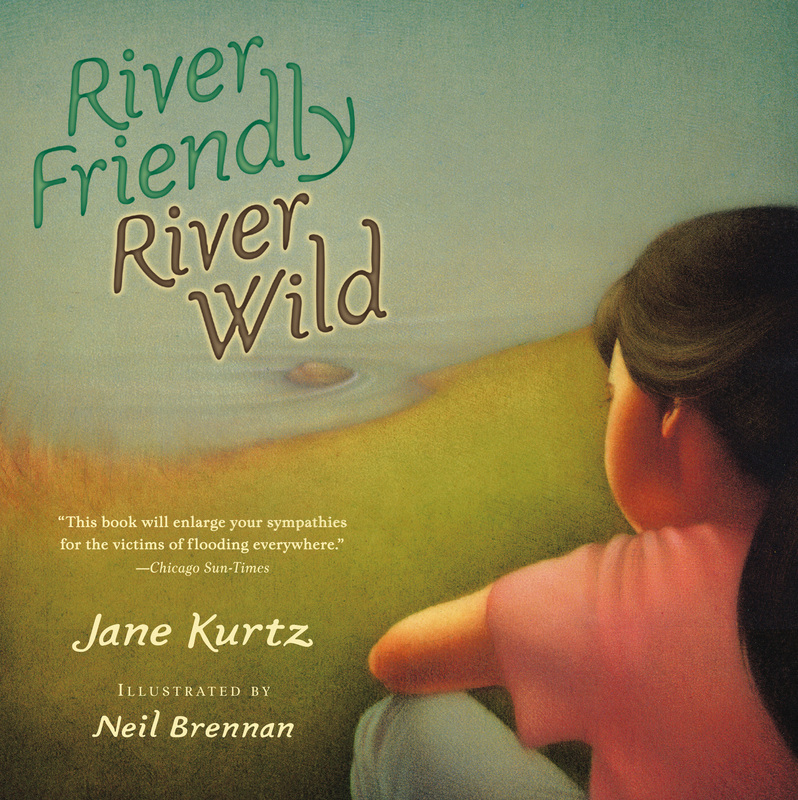 Inspired by Kurtz's own flood experience, this tale is realistic and unforgettable. Not just a moving story of one girl's courage, River Friendly, River Wild is a tribute to everyone who's ever faced great loss. "The illustrations are glowing. Portrayals of the family and the neighborhood emphasize closeness and working together, underlining the message of community and cooperation." "A book about the nature of home, community, and picking up the pieces." "Offer[s] a clear sense of what it's like to live through a flood"
"Powerful...an evocative look at recovery from personal loss."